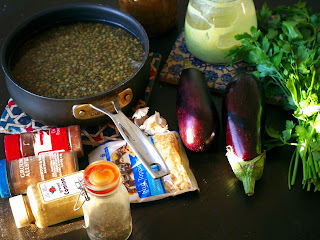 Here is a Middle Eastern inspired stew, I cooked during my vegan week which happens during the first week of every spring. 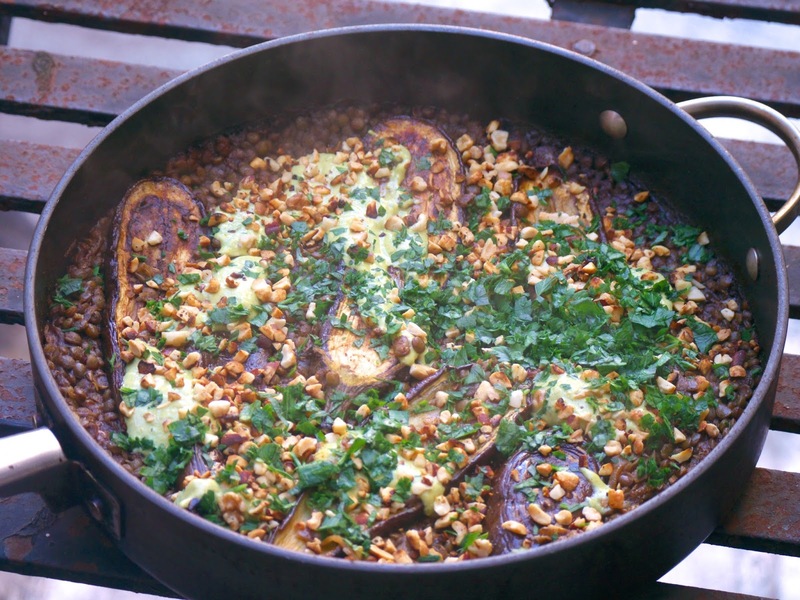 The dish consists of spiced lentils, roasted eggplants, and is topped with tahini sauce and toasted nuts. A hearty and healthy dish which does not feel like a vegan dish at all. For the initial preparations, cook the lentils until tender, roast (or pan fry like here) the eggplants; and caramelized the onions by using a large yellow onion (if you prefer not to use already prepared onions). To the onions, add the garlic and cook until fragrant. Add all the spices, chili, and dried mint. 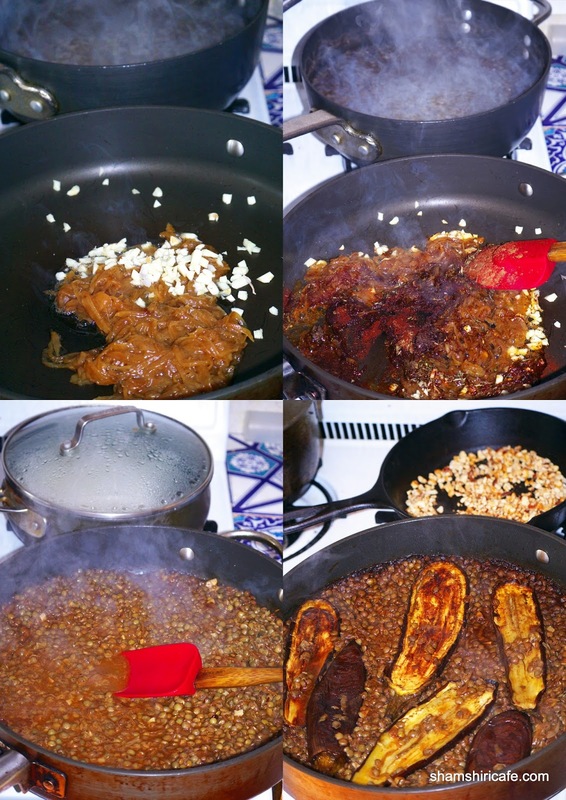 Add the cooked lentils (lentils should not contain much water). Spread the eggplants in a single layer. Decrease the heat to medium low and cover the pan. Cook for 10 minutes. Remove from the heat, cover the surface with tahini dressing, toasted nuts, and chopped parsley. 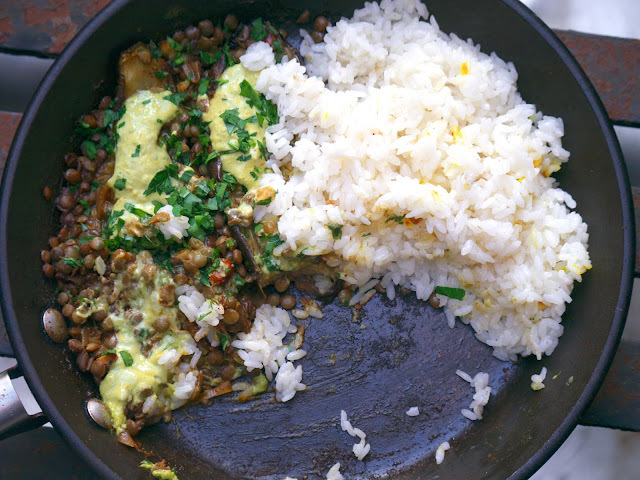 Serve with rice for a healthy and complete meal. 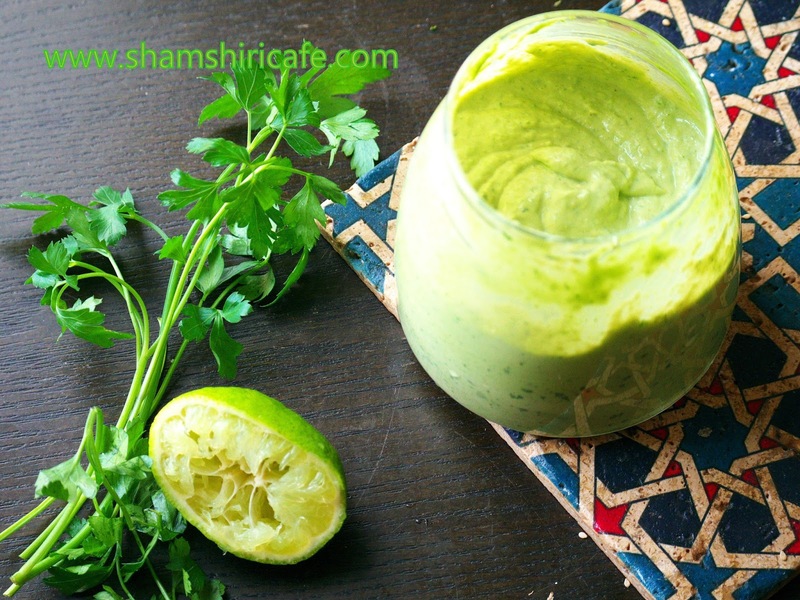 You may substitute the tahini dressing with a simpler tahini sauce, consisting of lemon juice, tahini, and water.